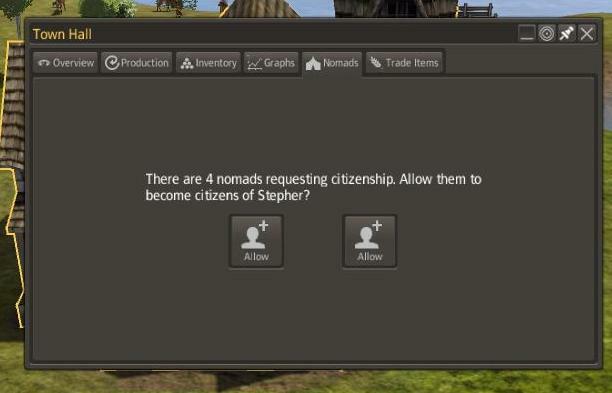 Both of the buttons in your Town Hall say "Allow Nomads" but one of them will Accept them and one will Deny them. Choose wisely. Obviously you can just ignore them and they go away, but that's just no fun.